Located right below the Stratum Corneum is the next layer called the Epidermis. This waterproof layer acts like a barrier for the innermost layers by protecting it from infection. The final layer of the skin is the dermis which is located just below the epidermis. This layer acts like a cushion with connective tissues that protect the body from strain and stress. It is connected very tightly to the Epidermis with the help of a basement membrane. With our lives being more challenging and the standards of living becoming more expensive every day, we tend to overlook ourselves and often, do not take care of our skin. This results in our skin becoming dull and dead cells becoming more prominent. When this happens our skin tends to look very old and tired. Now, this is when skin rejuvenation treatments like SkinSpace’s Microdermabrasion treatment can help get back a healthier and younger looking skin. 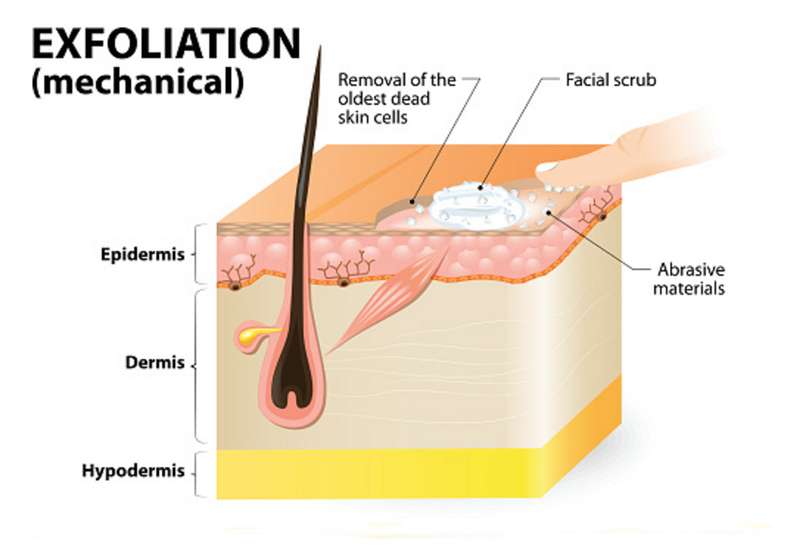 Before getting to know more about this treatment, let us first understand various layers of skin and how they work. The working ways of the Skin The human skin has Stratum Corneum as its top layer. This layer acts as barrier between the outside world and the skin. It also is a protective covering for the other layers located underneath. This layer prevents most molecules from passing deep into other layers of the skin. When this layer gets damaged, it results into skin imperfections and forms wrinkle lines, blemishes etc. Now that you have a brief understanding of various skin layers, let us move on to the main topic which is Microdermabrasion. 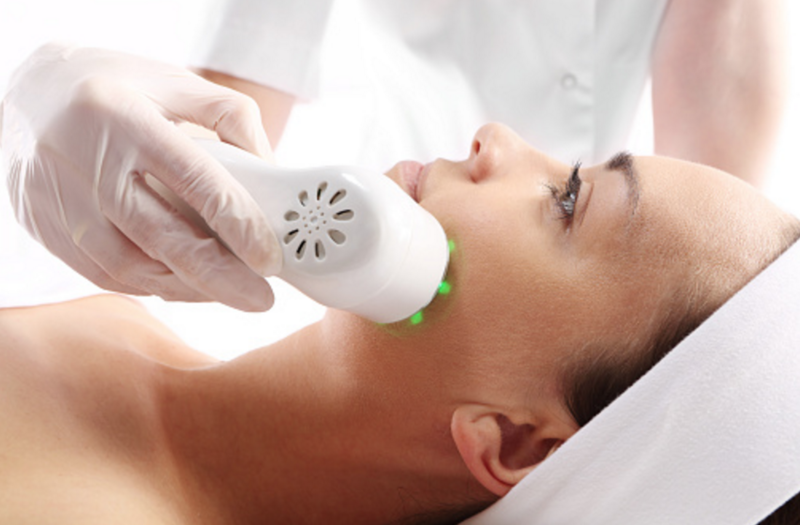 Also known as microepidermabrasion, it targets the stratum level and the epidermis. The dermis is not targeted in this treatment since it would be harmful and painful. It can also result in the formation of tiny grains that would be permanent. The concept of this treatment is to break up or remove the stratum corneum by getting the body to think that there is a mild injury so that new cells are released. This is a non-invasive and non-chemical process that is used for skin rejuvenation. This treatment is compatible with any type of skin color and type. How does Microdermabrasion treatment in Mumbai work? In this treatment, microcrystals are used to remove the skin cells on the top layer. This method is hard enough for the removal of the dead cells but is not too hard to cause pain or discomfort. This progressive procedure gives you immediate results. This treatment can be done on the face or on the body parts like the hands, legs, neck, hips etc. It’s also available in the form of a facial. •	It raises and pulls the skin by making small sections during the procedure. •	During the procedure, you will notice mild swelling on the skin, which is because of impurities that are sucked out. •	A stream of crystals is shot across the targeted skin patch. •	The dead skin and used crystals are collected for disposal. The skin looks fresh and young since the old cells of the skin are replaced with healthy and new ones. The surface of the skin looks a lot better since various imperfections such as fine lines, blemishes and sun damage is removed. Studies show that when a person opts for this treatment regularly, it also helps in the growth of new layers of the skin. Simultaneously, it also helps in treating lower layers by removing the blemishes and other skin irregularities which are embedded deep inside. Using specialized lotions and creams on the target area, it helps increase skin hydration. This also helps formation of new healthier skin since it disposes off the dead cells and skin. The blood circulation is improved in areas that have been targeted using this procedure. This treatment can also be used for the reduction of wrinkles, fine lines, rough skin, , blackheads and other such conditions that our skin is prone to. The procedure can be done on the upper and lower face, neck and chin. If you opt for the body, skin specialists provide Microdermabrasion treatment for arms, hands, back, abdomen, hips and legs. 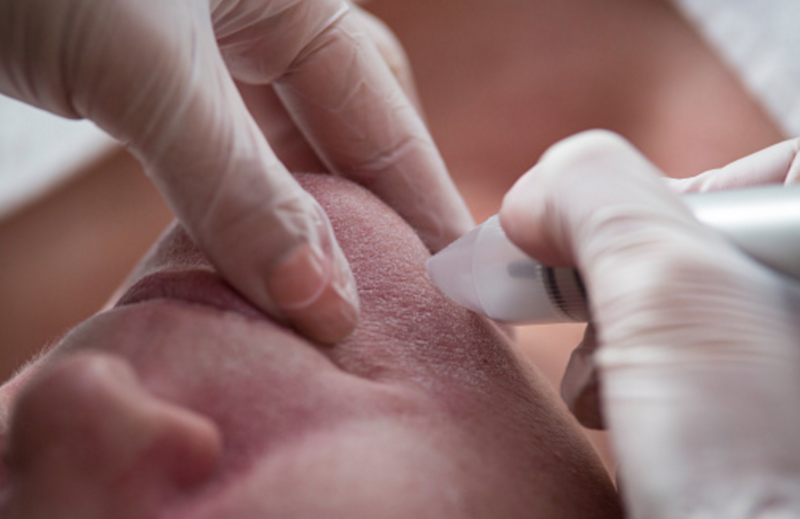 The team of specialists at SkinSpace Clinic knows the dosage of microcrystals that have to be shot into the skin. They will ensure that they target the right zone that needs the treatment. This clinic touts the best administration, environment, system and tools to perform such a treatment. You can be rest assured that the SkinSpace Microdermabrasion specialist working on your skin will guide you in the correct way.